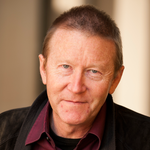 Professor Paul Martin’s research focuses on how sensory and environmental context modify brain activity and behaviour. In new collaborations fostered by the Centre, Paul is investigating the neural circuits underlying attention based on visual information. He is Professor of Experimental Ophthalmology at the University of Sydney.